Robotic Process Automation (RPA) has the potential to automate entire processes or part of processes that are repetitive, monotonous and occur in high volumes. In a shrinking budget environment, RPA is a tool to “do more with less”. While RPA automates “hand work”, AI assisted Intelligent Automation also automated “head work”. RPA, IA and AI has spread rapidly in the private sector and many federal and state agencies are currently using these tools in production or as pilots to speed up cycle times reducing the time it takes to perform certain processes, augment the efforts of human workers and provide better outcomes for the business of government. Donna Roy is a national leader in information sharing, data management and enterprise IT service delivery. She leads the delivery of applications, platforms, services and data infrastructure for mission facing and business management customers at DHS. Deploying high-visibility capabilities, her office is focused on high-quality delivery of innovative solutions for identity management, national scale collaboration and trust platforms, and scalable data infrastructure solutions to customers within a dynamic environment. Barbara Cooper-Jones serves as Senior Vice President of the Office of Enterprise Data & Technology Solutions. Joining Ginnie Mae in November 2011, Ms. Cooper-Jones brings to the team more than 25 years of experience in transforming information management environments and building long-term partnerships with business and technology stakeholders. In her current role, she is responsible for defining and developing enterprise-wide strategies to ensure the ongoing and future alignment of Ginnie Mae's operations and technology across the enterprise business model and all business operations. In addition, Ms. Cooper-Jones is working to define and develop strategies for all mortgage loan/MBS-related technology and data management-related design and development activities. Prior to joining Ginnie Mae, Ms. Cooper-Jones was the Assistant Vice President of Enterprise Program Management in National IT at the Federal Reserve Bank of Richmond where she led large-scale program management review of the Reserve Banks' business and technology architectures. Ms. Cooper-Jones was also responsible for providing architectural direction in order to ensure that the Reserve Banks met National IT's technology standards. Her clients included many of the twelve Reserve Banks including the Financial Support Office, Cash Product Office, Office of Statistics and Reserves and Customer Relations Support Office. Before her time at the Federal Reserve Bank of Richmond, Ms. Cooper-Jones served as Vice President of Enterprise Data Technology at Fannie Mae from 2004 to 2007. In this role, Ms. Cooper-Jones led long-range strategic planning and day-to-day activities for the corporation's Single and Multi-family data warehouse and marts in support of Financial Reporting, Regulatory Reporting and Research and Analytics. While at Fannie Mae, Ms. Cooper-Jones also defined and implemented the first generation data governance program and developed a Corporate Data Strategy. Prior to that, she led data integration and hardware, software and infrastructure operations as a director in the Data Warehouse Technology group. 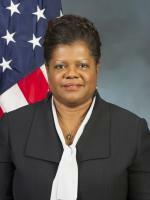 In addition, she has held numerous other leadership positions throughout her prestigious career at CSC (formerly DynCorp Viar), Credit Card Services Corporation, Potomac Electric Power Company and Arthur Andersen & Co.
Ms. Cooper-Jones received her Bachelor of Science degree in Accounting from Virginia State University. She has also completed a host of leadership development programs and executive coaching courses, and served as both a formal and informal mentor in the Federal Reserve Bank of Richmond and Fannie Mae's Corporate Mentor Programs. In addition, she has been a featured speaker at Gartner and The Data Warehouse Institute conferences. Mr. Sukumar Iyer is the founder and President/CEO of Brillient Corporation. He has more than 26 years’ experience in management consulting, information technology and software at Brillient, companies such as Accenture and with Fortune 100 clients in different industry sectors. He has provided assistance and supported numerous Agencies and government customers. His areas of expertise include business / organizational strategy, data science driven applications and AI driven solutions to deliver client value. Sukumar’s passion lies in understanding a client’s problems or challenges and then crafting and delivering an innovative, cost effective solution. His current focus is on Robotics Process Automation (RPA) and Intelligent Automation and how the tools can be implemented to meet the business needs of government. Sukumar is active with federal government associations and bodies including the Emerging Technologies COI of the ACT-IAC and is the industry chair of the Intelligent Automation Working Group. 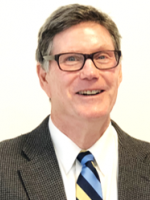 He was till recently the Chair of the AFCEA Small Business Committee and is an active member of the National Contracts Management Association (NCMA). Sukumar graduated with a Master’s degree in Mechanical Engineering from The University of Akron. He is taking flying lessons towards a private pilot’s license and has a variety of hobbies he indulges in when he is not spending time with his children. Dr. Anand J. Paul is currently Director, Intelligent Solutions at Brillient Corporation. In this role he is focused on developing solutions by leveraging next generation technologies like machine learning and artificial intelligence to help federal agency clients meet their mandates and execute their mission in a budget constrained environment. Prior to this, Anand spent 20 years in IBM’s Research Division as the Global Government Research Industry Specialist and Senior Technical Staff Member helping develop joint strategies, providing linkages between IBM Research worldwide and the Government Industry, and developing First-Of-A-Kind solutions. In addition, he played a key role in helping clients and partners understand IBM Research’s Education Transformation roadmap and strategy through the development of cognitive technology-based solutions. 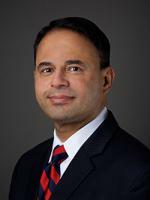 Anand has served as an adjunct faculty member at West Virginia University. He holds a Ph.D. in Materials Science and Engineering from the Pennsylvania State University, PA and an MBA from the University of Pittsburgh, PA. He has authored 55 technical papers, edited three books, organized three international conferences and chaired numerous sessions in various national and international conferences.